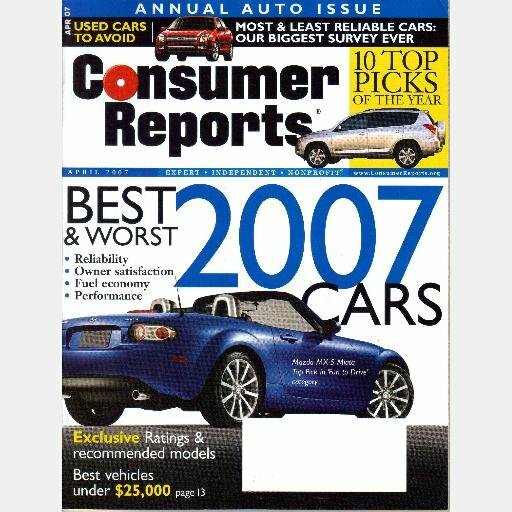 Here is CONSUMER REPORTS Magazine APRIL 2007 issue, by Consumer's Union. The issue is used, in very good condition, almost like new, clean & complete with no tears or marks, blank address label panel on cover, 94 pp. Shipping is Media Mail with 1-2 week delivery time. AK, HI, and Canada shipping is Priority Mail.